What is a "coin flip" in poker? 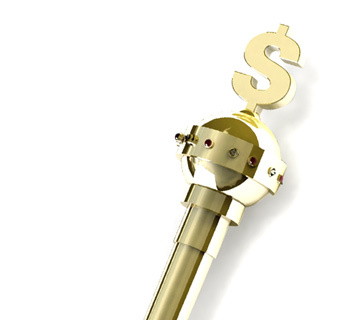 What is the definition of the term "coin flip"? 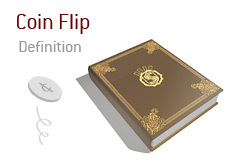 A "coin flip", or a "flip" as it is sometimes known, is a situation where two players who are involved in a hand have an equal (or nearly equal) possibility of winning the hand. When you flip a coin and call either heads or tails, you have a 50/50 chance of being correct. In poker, the odds of winning a "flip" usually aren't exactly 50/50, but they are pretty close (if you and your opponent both have a 47-53% chance of winning the hand, then you are said to be in a "flip" situation). Let's give you a few examples of a "flip". Example #1: Action folds around to the button, who decides to push all-in holding Ad-Kd. The SB folds, while the BB makes the call holding pocket Sevens. This is a classic "flip" situatiion, as one player (Ad-Kd) has a 47.71% chance of winning the hand, while the other player (pocket 7s) has a 51.95% chance of winning the hand. This is another "flip" situation, as the player with Ac-Kc is 51.21% to win the hand, while the player with pocket Jacks is 48.79% to win the hand.